Welcome to THT #78! We are still going on strong with many new faces and those of you who come week after week. I thank you so much for taking the time out to come on over. The inspiration is just amazing. 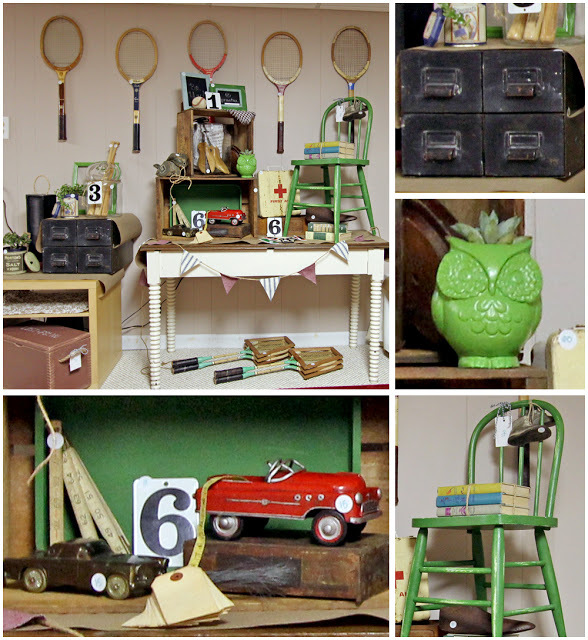 Amanda over at A Girl In Pink shared her beautiful crafting/blogging space. I love the story she had to tell about the table she is using as her desk. Mama's do know best. 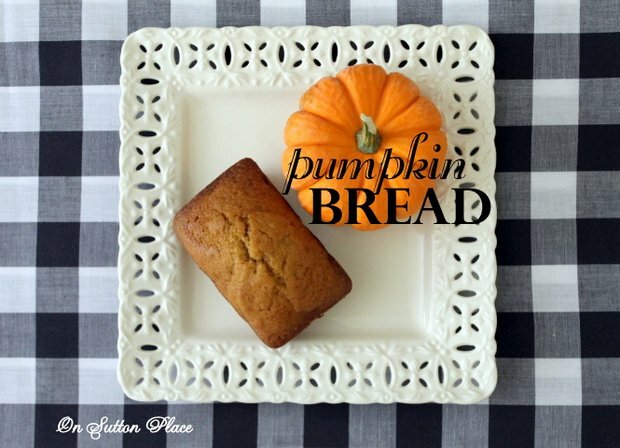 Ann over at On Sutton Place shared her recipe for some super yummy pumpkin bread. I am sucker for anything pumpkin! Katie over at Something To Be Found shared her yearly Somethings Sale. 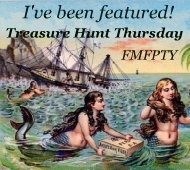 She treasure hunts all year long and then has a sale. Head on over to see just where she sets up shop! I love this idea. 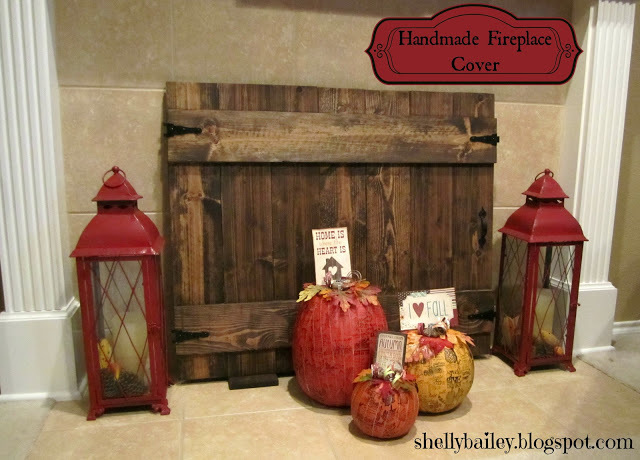 Shelly from Shelly's Creations shared her rustic fireplace cover and just how to make one of your own. This project is moving to the top of my project list for sure! Hi Pamela, your features this week are lovely. I sure love visiting here, thanks for hosting. Pamela, these are wonderful features! Thanks so much for hosting! Super features Pamela, thank you so much for hosting. Have a great day! Thanks so much for the fun party again this week, happy Wednesday! Just linked up too, thanks so much for hosting! Hi Pam, just linked up my sunporch, thanks so much for hosting! Thank you for your sweet comment on my just born blog ! I just have understood for the link of the post ! thank you so much to offer us your space ! Thanks for hosting Pam.. I so rarely get to participate in parties so I'm glad I finally got something done and photographed in time. Cute features! Thanks for hosting the party!!! I just linked up and it is always a pleasure!! Pamela, I really appreciate the opportunity to link up to your party and enjoy the ideas and talents of so many others. Thank you! Great features! !...Thanks for hosting Pamela!! thanks for stopping over and checking out my posts, Pamela. So sweet of you! So much talent here. I love the features. Thanks for hosting. Hi - THANKS For the feature. I twas such a pleasant surprise!!! I enjoyed the features this week. Thank you for hosting Pamela, always a pleasure to join in. Pamela, This is such a fun party!!! Don't you love what treasures we all find and what we do with them!!!! Thanks for hosting! Now off to visit other participants!